When during the heat of the 2012 F1 season Fernando Alonso declared that they are fighting not only Vettel but Adrian Newey too, he momentarily managed to shift the limelight to the almost magical but unfortunately obscure side of motorsport the brilliant engineers and technicians who year after year dole out cutting edge, industry changing technologies. But if one was to say that every genius has a humble beginning, it would be a gross understatement because the origin of the new generation of motorsport engineers is far from humble, its mind blowing. Enter Formula SAE, a student design competition organized by SAE International, that has for a long time been the best platform to launch one’s career into the world of motorsport. Formula SAE is a fantastic initiative which gives its entrants the freedom of design to test their ingenuity whilst also providing practical experience of working to specific deadline, budget and regulations. Whilst Formula SAE can provide a grounding in motorsport, with many of our engineers at Mercedes AMG Petronas having taken part during their university days, it also provides the foundations for all forms of engineering if students wish to take their career in different direction. I have no doubt that skill learnt by participating in Formula SAE will help towards the achievement of future success. And this is where our racing partner, Pravega Racing (India), comes in. One of the best Formula SAE teams from a country which is barreling ahead on its way to become an automotive superpower, the team has shown immense promise in its recent stints on the world stage and we at AutoSpace couldn’t be happier to lend our complete support to their efforts. 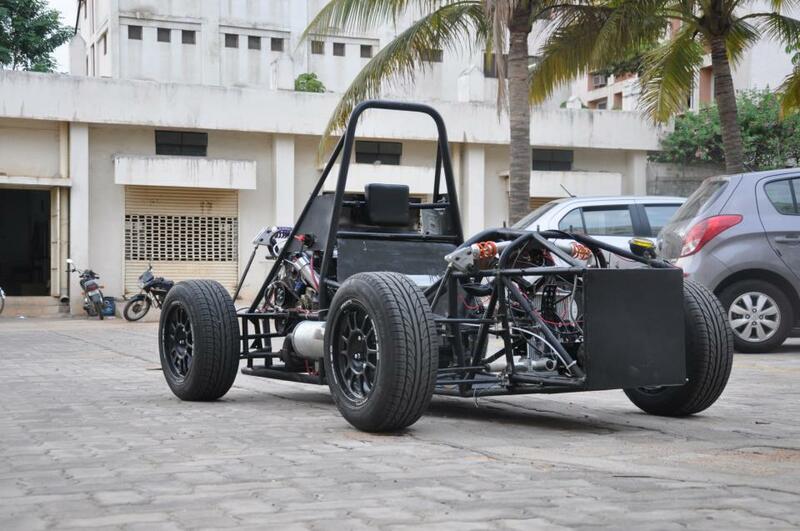 It was four years ago, that the passion for motorsports in the hearts of young engineers at VIT University (India) metamorphosed into formula style open wheeled, open cockpit racecar that competed with the best in the world. This passion for excellence has guided the team over the years, successfully building four lean mean and efficient machines that have brought laurels to the students and the university. Formula SAE is in true sense engineering expressed for these young automobile enthusiasts. It is a rude awakening to watch these young engineers work because the idea of making a car is so oversimplified in our minds with all those movies showing cars being built overnight, that when you see them work night after night for endless hours you’ll first wonder what they actually are doing before a sense of respect dawns on you. Designing, manufacturing, assembling, testing and racing a car while simultaneously pursuing your engineering degree is something that deserves respect and AutoSpace salutes them for being so relentless in their drive for automotive perfection. And then there is a completely different side to it too. Humans are social animals, we socialize, herd, help and procreate in a lifelong effort to sustain our species but the members of the automotive sector contrary to all this just tear and rip at each other, companies at war with other companies, blogs slandering about each other and even automotive television shows fighting for supremacy, without any regard for the future of the industry as a whole. And this is where the importance of teams like Pravega Racing becomes obvious. These are nonprofit teams comprising of only students, brilliant students at that, and hence the opportunity for the industry to fund honest, nonprofit and constantly ongoing researsch as the team jumps form one season to another. This is the research and these are the students who will sustain the entire industry in less than ten years’ time and the industry today including all OEMs, manufacturers and services sector has a chance to invest in its own future. And the sweetest part is that it is not ten years down the line that your investment bears fruit. Apart from giving you a huge amount of publicity at the Formula SAE event, which brings together students and officials from various countries, the team also offers exposure nationally through the auto expos, technical fests. Adding to this is the media coverage which will give a great impetus to your publicity. 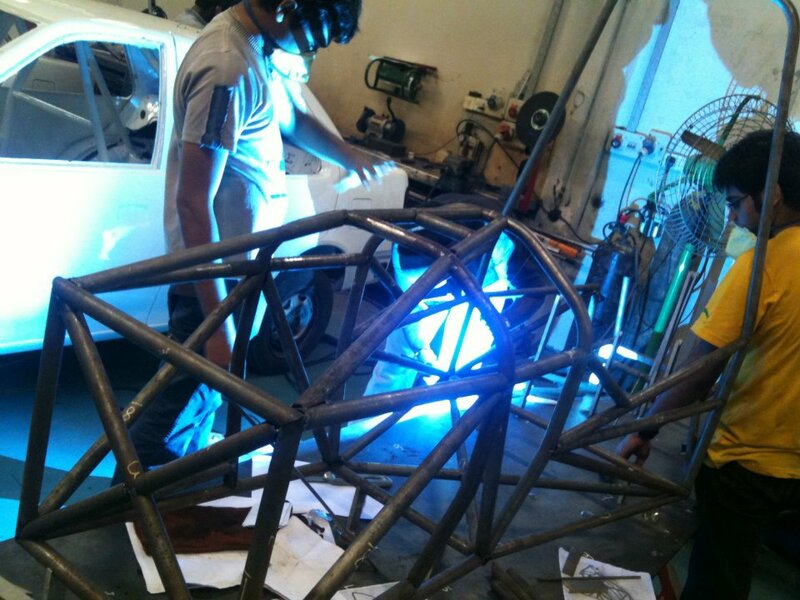 With your help, Pravega Racing can compete at the highest level and bring laurels to the country.